The Housing Act 1996 (“HA 1996”) contains a number of rules on tenancies - particularly in relation to tenancies where the landlord is a local authority or a housing association. These sorts of landlords are often referred to as social landlords. Under the HA 1996 social landlords may apply for an injunction against a tenant who engages in “housing-related anti-social conduct”. The injunction is intended to prevent specific behaviour, which must be set out in the injunction. For the purposes of an HA 1996 injunction behaviour which could or does cause annoyance to other tenants, to the landlord's employees, or to people lawfully in the vicinity of the property may constitute anti-social conduct. The behaviour could take place anywhere and the injunction does not have to name a particular person or people who have actually been affected by the anti-social behaviour. An injunction may be obtained even if no anti-social behaviour has yet taken place but the tenant has threatened to behave in an anti-social way. An application for an anti-social conduct injunction will usually be made in the local county court. The application must include written evidence explaining why an injunction is needed. The application must also set out the specific behaviour which the injunction is intended to prevent. An anti-social conduct injunction may include a power of arrest. If so it must specify the particular acts which may lead to arrest. A person arrested for breach of an injunction should be brought before a judge within 24 hours of their arrest. The judge may decide what sentence is appropriate. Alternatively the judge may remand the tenant in custody or grant them bail pending a final decision on sentence. If the tenant of a local authority or a housing association engages in anti-social behaviour or uses their home for unlawful purposes their landlord may apply to the local county court for a demotion order. A demotion order turns a secure or assured tenancy into a demoted tenancy, which means that the tenant can be more easily evicted by their landlord. A landlord must give the tenant notice that it intends to apply for a demotion order. A court may make a demotion order if it is satisfied that the tenant has behaved anti-socially or has used the property for unlawful purposes. A demotion order turns a secure tenancy into a demoted tenancy for one year from the date of the order. A landlord must still apply for a court repossession order before they can evict a tenant with a demoted tenancy. 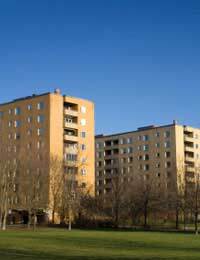 The landlord must first give the tenant notice that they intend to start a claim for repossession. The notice will usually give the tenant 28 days' warning that a repossession case is to start. This notice must set out the reasons why the landlord wants to repossess the property and inform the tenant that they have the right to seek a review of the decision to repossess. The tenant will have 14 days from the date of the notice to request a review of the decision. If a social landlord follows the correct procedure when seeking to repossess a property held under a demoted tenancy the court must make a repossession order. Therefore, unlike a secure tenant, a tenant with a demoted tenancy has very little protection from eviction. Introductory tenancies are a one-year, probationary tenancy provided by some local authorities and housing associations when they first take on a new tenant. A tenant with an introductory tenancy can be much more easily evicted than a tenant with a long-term, secure tenancy. By implementing a system of introductory tenancies local authorities and other social landlords have greater powers over the type of tenant given access to their limited housing stock. The tenant of a social landlord who indulges in anti-social behaviour during the period of an introductory tenancy can be much more easily evicted than a tenant with a full tenancy. An introductory tenant may also lose their right to be granted a full tenancy if they engage in anti-social or unlawful behaviour. I, am having trouble with my neighbour who moved in, in July 1918, You can not reason with her over anything, she thinks everything has got to be her way or nothing. The final straw is on Saturday 6th we tried to have a civilised chat with her, but she just starts swearing and ordering you about, and says that now shes working she will make noise as and when she wants to.She is sub letting the property to her 30 year old daughter, so we have that has well. She uses her tumble drier and washing machine at unsociable hours, ie 4 AM in the morning, along with the washing machine.There is more, but I just thought, I would tell you this first. Do You know any one, who can inform us of the time restricts for using utillity items? Hiya I need some advice I live in a flat and mymlandlord housing association I have been attacked by my neighbours x3 now everytime infront of my childrenand everytime the attacked been worse they have threatened to come after me and my family again next time either me or my children will be in hospital.ive called police no arrests have been made I've been to the council they said they cant help and I've been to my housing people many of times there response was in your not safe hand over your keys and get out I've been fighting this for over 4 months now and I'm not getting anywhere I want to be moved I do t even care if I have to move out the area but everyone refusing to help me my mental health going down hill we are all scared (me and my children) what can I do I've been looking a the housing acts etc but I'm stuck I dont no what to do anymore any advise would help how can I fight them on this. There is a Right of Way between properties that has been there for a long time. It is NOT on the maps, but is on the Deeds. It was used for the villagers to obtain water from the village well that is situated in my neighbour's yard. I was informed that I could get this removed for a few hundred pounds but I am happy with it there as no one uses it now BUT my neighbor has just blocked all access through the fence where there should be a gap. Is he legally allowed to do this if I object? Or at all?? My cats use it to follow and catch the rats that originated in his garden and between then fence-line. I told him he is not allowed to block the Right of Way even though it hasn't been used since the 1980's. What can I do about it to get him to unblock the fence? We have a major problem with a elderly lady in the flat above us the floorboards are very loud creekiing etc major loud ! Now this has been report to 13.who are the landlords of the flats they been out to the neighbour to try to correct this issue with no luck the lady above is totally unproncgable both myself and my wife have try to reason with her she utterly hostile she's up till 2/3 o clock in morning wondering about we can hear every move she makes endless sleepless. Nights added to the fact we both work shifts we have took it up with local council the landlords etc and got nowhere. we moved in to a new estate 14yrs ago and for 6 of those years my elderly mother an myself has been miserable, fed up and unhappy, so much so I now don't want to go home from work, inmaged that.I have the neighbour from he'll. she lives on top of me and has no carpet,wood and tiles, even to talk about it make me feel I'll. the neighbour in question do not work. but for 7 nights a week she washes from 8 in the evening until 8 the next day, all youcan here Is the bloody whizzing of the drawer and washing machine,the draging of furniture, hovering the tiles and floorboards and for the icing on the cake a little 3yr old up at 6/7 first thing and running from room to room and getting up on the chair and jumping down,oh boy my elderly mother is at home with this 24 7, and I dont know how much longer get nerves can take it.my mother shouts to let her know it into rightwe get it worse and she calls the police,on my elderly mother saying she is being harassed by 79yr mother who I feel have all right to shout stop it.the police come to tell my elderly mother off. she call me at work very upset to let me know the police is at our door, now you tell me. we report the harrasment to housing,they ignore us and said log,we have been logging for 6yrs for heaven sake. we are at our wit end and fed up with it all. oh and the latest thing wit the neighbour is a set of silver balls on her balcony, and for the pass 3days when the wind was high they where rolling from one of the balcony to the other end making a racket would she remove them no. she was told once by housing to remove them they were removed for 1day. oh do we have problems,my elderly mother and myself has cancelled Xmas another another yet, we are miserable and looking forward for to tramping,the child running back and forth all day. the flats are so flimsy you here them going to loo and what they are doing in the loo. help anyone.oh then they put their shoes on heels and tramp from end of the room to the other side. "a children's home was opened a few years ago in the middle a densely populated housing estate, we were never informed that it was going to open - in fact we could not find out the nature of the business prior to the opening.The home is run for profit by an infamous family - the children have been put into care as a result of antisocial behaviour and criminalbehaviour - they walk the streets and have attracted huge gangs - there have been many many antisocial behaviour problems since the opening - most residents want to move because of intimidation - we've contacted many agencies for help but all side with the home - do we have any legal rights." @angim. You don't have any rights as far as the placing of the home etc. It will have been granted planning permission and will subject to the usual local authority inspections. There is however, action that you can take in relation to the behaviour of the residents and those responsible for them. Our guide to the AntiSocial Behaviour Act will hopefully be of help to you. a children's home was opened a few years ago in the middle a densely populated housing estate, we were never informed that it was going to open - in fact we could not find out the nature of the business prior to the opening.The home is run for profit by an infamous family - the children have been put into care as a result of antisocial behaviour and criminalbehaviour - they walk the streets and have attracted huge gangs - there have been many many antisocial behaviour problems since the opening - most residents want to move because of intimidation - we've contacted many agencies for help but all side with the home - do we have any legal rights. @Dor - are you renting or buying your home? cn you please tell me if l can use the freedom of rights act to find out damages and repairs they have done to the house before l moved in.thankyou. I`m a housing association tenant - recently I and other tenants have become aware that we are responsiable for trees (we didn`t plant them) in our gardens, my nieghbour has been recharged (£300) for tree work enforced by our landlords - payable weekly or if you`re on benefit- our landlords tell us the tax payer picks up the bill. are tax payers investing in housing association property management. Havering council have started scheme to lease private houses, then rent to council tenants. 4 yrs ago next door house was rented, no-one seemed to live there but groups of people turned up at night, usual rowdiness etc. I went round there twice, once at 3am,then 5am. A women + child arrived, she slept all day and stayed up all night. she has a permanent partner and seems to live part-time in the house, has never done any washing, cleaning windows etc in 4 yrs. Different women are there, builders last week had rudeness from 2 women and neighbours have paid for gutter cleaning, new bolts on Right of way yet. council have done nothing but send useless letters and Local govt Ombudsman is hopeless too. Surely tenancy agreement needs to be enforced, end of. Govt makes a lot of noise about benefit fraud, but nothing seems to get done.